This website is brought to you by Henkel AG & Co. KGaA, Henkelstrasse 67, 40589 Düsseldorf, Germany ‏(hereinafter referred to as “Henkel”). The information available on this website about Henkel Adhesives Technologies India Private Limited ‏(hereinafter referred to as "Henkel India"), affiliated companies of Henkel and third parties has been put together with utmost care. Web materials on the Site are subject to change, without notice, owing to the perodic updates and corrections. However, we are unable to guarantee the completeness and correctness of the information, and is included for general purposes only and that it should not be relied upon for any specific purpose. Henkel and/or Henkel India do not assume any liability for any mistakes in the contents of this website. Forward-looking statements made on this website have been given according to the best of our knowledge and belief. 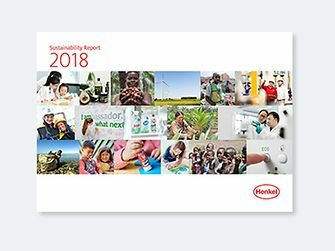 However, the results actually achieved by Henkel and/or Henkel India may differ greatly from these forward-looking statements because they depend on a whole group of factors of a competitive and macroeconomic nature that are in some cases beyond the control of Henkel and/or Henkel India. Without prejudice to any legal obligations to amend forward-looking statements, Henkel and/or Henkel India have no intention of constantly updating all forward-looking statements contained in this website. The pages of our site ‏(contents, structure) are protected by copyright. In particular, any reproductions, distribution, adaptations, modification, translations, storage and processing in any other media, including storage or processing by electronic means, enjoy copyright protection. Any exploitation in whole or in part thereof, reuse of text or graphics, etc. shall require the prior written consent of Henkel and Henkel India.. Any reproduction of information or data, in particular the use of texts or graphics, etc. or parts thereof or image materials ‏(except for Henkel and/or Henkel’s India’s press photos), or translation requires Henkel&apos;s and/or Henkel India’s prior written consent. Illustrations are protected by §72 German Copyright Act ‏(UrhG) and Indian Copyrights Act,1957 as amended. The rights of dissemination and reproduction are held by Henkel. The rights also remain in force in their entirety when images are automatically or manually added to an archive. Henkel and/or Henkel’s India’s press photos may be used for editorial purposes only. Henkel and/or Henkel’s India’s press photos that are reproduced and/or electronically modified for editorial purposes must bear the copyright notice "© [Year] Henkel. All rights reserved". Reprinting is free of charge, however, we request a copy for our files. None of the part of the Site shall be modified or incorporated in any other work, publication or site, including postings to any other site. The Henkel Oval logo and all product names and/or product get-ups on these pages are registered trademarks of Henkel, its subsidiaries, affiliates, licensors or joint venture partners. Any unauthorized use or abuse of these trademarks is expressly prohibited and constitutes a violation of trademark law, copyright law, other intellectual property rights or unfair competition law. a. The pages of this website contain links ‏(i.e. "hyperlinks") to other websites that are operated by third parties and whose contents are not known to Henkel and/or Henkel India. Henkel and/or Henkel India merely facilitates access to such websites and assumes no responsibility whatsoever for their contents. Our links to third party websites are merely intended to make navigating easier for you. Statements shown on linked pages are not made our own. We rather explicitly dissociate from any and all contents of any and all third party pages linked on the pages of our website. In particular, we do not assume any liability for any breaches of statutory provisions or infringements of third party rights that occur on such pages. b. For websites to which hyperlinks are provided from the Henkel website, the owners of these websites are solely responsible for the content of these pages as well as for any sale of the products offered thereon and for the handling of any orders relating to the same. We cannot be responsible for the privacy policies of other sites even if you access them using links from our site and recommend that you verify the same. c. Henkel and/or Henkel India do not assume any liability for any infringement of any copyrights, trademarks or other intellectual property or personality rights that occurs on a page accessed by a hyperlink. 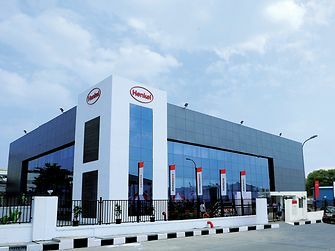 d. In the event of an order or any other legal declaration in respect of a transaction, a contract is made solely between the user and the owner of the respective website or offering party or person presented therein, under no circumstances, however, between Henkel and/or Henkel India and the user. Please note the general business conditions of the respective supplier on the hyperlinked website. f. In addition, if you are linked to this Site from a third party Site, we cannot be responsible for the privacy polices and practices of the operators of that third party site and recommend that you verify the same. Any liability of Henkel and/or Henkel India for damages arising out of the use of this website – irrespective of the legal cause, including tort – is limited to damages that are caused by intent or gross negligence. 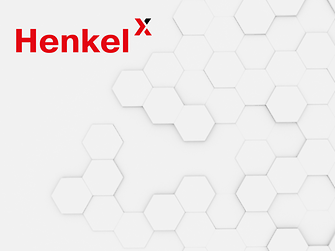 To the extent that there be a mandatory liability of Henkel and/or Henkel India as a result of a breach of material contractual duties, the total amount of any claim for damages is limited to the foreseeable damages. This shall not affect Henkel&apos;s and Henkel India’s liability under applicable Product Liability law or under any warranties given. The aforesaid limitations of liability also do not apply in the event of harm to life, bodily injury or harm to health of a person. Henkel and Henkel India employ great efforts to keep Henkel websites free from viruses, however, we are unable to guarantee any absence of viruses. For this reason, we recommend that care be taken to assure adequate protection against viruses ‏(e.g. using virus scanners) before downloading documents and data. Henkel and Henkel India does not warrant any freedom from faults or errors of the services offered on the Henkel website nor their availability. However, Henkel or their affiliates, officers, employees or agents shall not be responsible or liable for any loss, damage or expense including without limitation, any loss of profit, indirect, special, incidental or consequential loss/damages arising out of any access to or use of the site or with respect to any information contained on the site. Forward-looking statements on this Internet site have been made according to the best of our knowledge and belief. However, the results actually achieved by Henkel and/or Henkel India may differ greatly from these forward-looking statements, because they depend on a whole group of factors of a competitive and macroeconomic nature that are in some cases beyond the control of Henkel and Henkel India. Without prejudice to any legal obligations to amend forward-looking statements, Henkel has no intention of constantly updating all forward-looking statements contained in this website. The brands / products shown on this Internet website are examples of the brands / products available from companies of Henkel worldwide. Henkel does not warrant that a product shown is also available in your country.